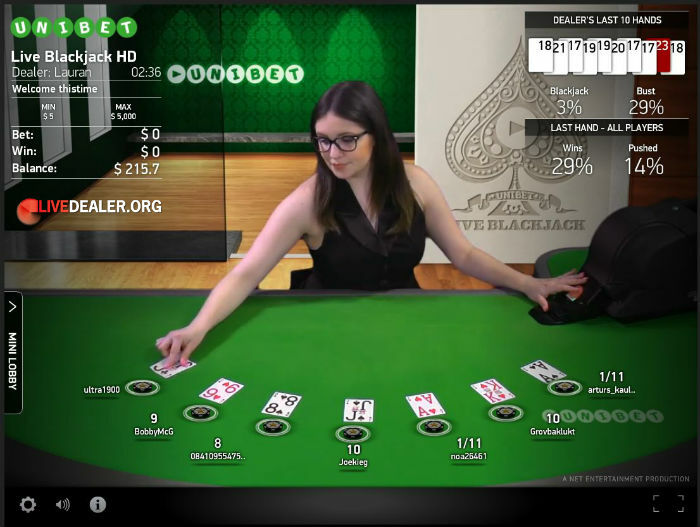 NetEnt offer a reasonably small, but growing range of blackjack tables all streamed from their dealer studio in Malta. For some time they only offered a ‘1 to many’ table that they name Common Draw Blackjack, but thankfully they now also have a range of 7 seat tables. 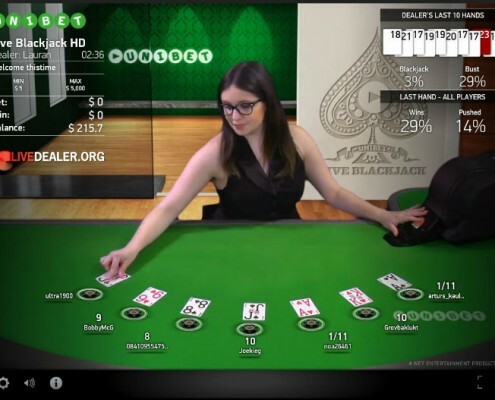 A key point of difference of NetEnt’s live blackjack offering is the use of a shuffle machine for their deal (containing 6 decks). Most other providers deal from an 8 deck shoe and shuffle manually when the deal is around half way into the shoe. 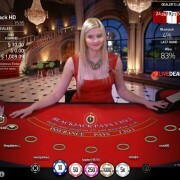 Other key aspects of Netent’s live blackjack are set out below. 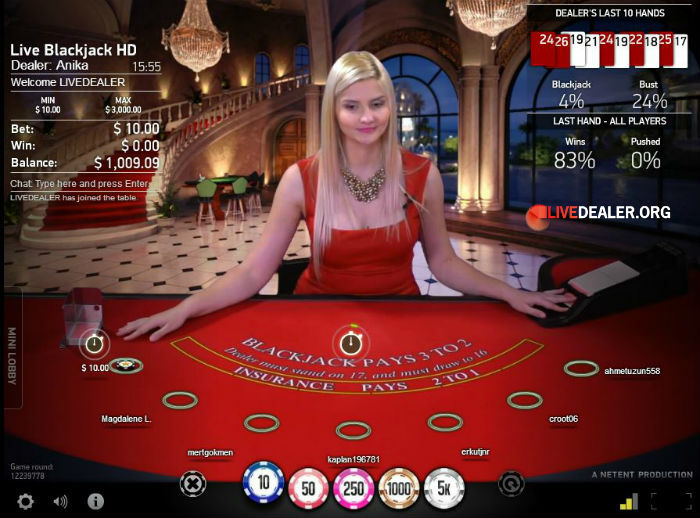 Visit our live blackjack page for a summary of tables from all providers. 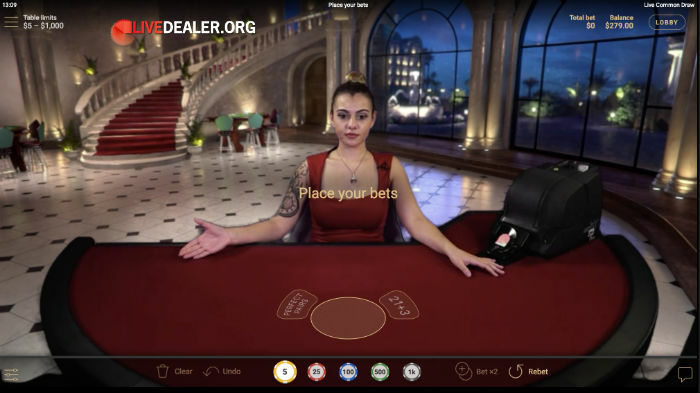 VIP tables and different backdrops aside, you essentially have 2 types of Net Entertainment blackjack table to play – classic 7 seat tables, and their ‘one to many’ deal variation they call Common Draw Blackjack. 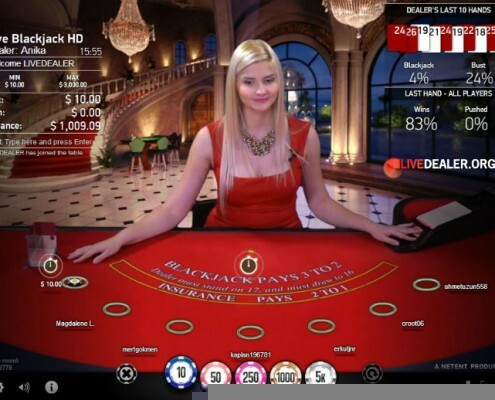 There are 2 key points of points of distinction between Netent’s 7 seat blackjack table and most other live blackjack tables you’ll find. The first is that cards are dealt from an auto-shuffling Shufflemaster rather than a manually shuffled shoe. The second is that they use 6 decks…not the customary 8. 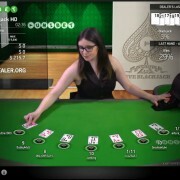 NetEnt’s Common Draw Blackjack table employs the same house rules (and use of 6 deck Shufflemaster) as their 7 seat tables. The key difference is that many players are able to play the same deal (referred to as a ‘one to many’ game). 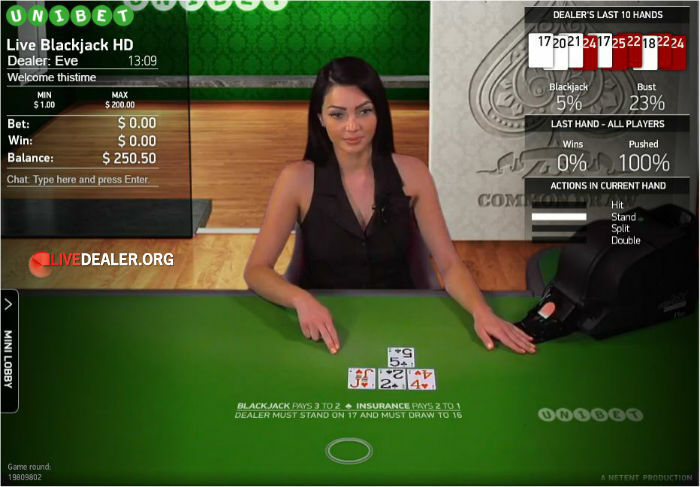 If you decide to hit, double, or split, the next card or cards dealt into the stream are counted toward those decisions. It’s worth noting that despite the different deal convention, the game theoretical RTP for optimum play is identical to the 7 seat table…99.5%. Why? 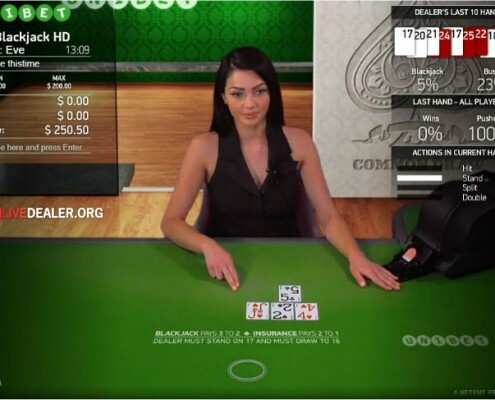 Because they offer NetEnt’s tables, and are all award winning online casinos. 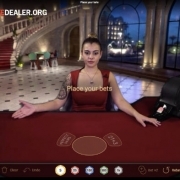 7 seat live blackjack streamed from Net Entertainment’s Malta dealer studio. The deal is from an auto-shuffled 6 deck shoe. Essentially the same house rules as their 7 seat blackjack game, but dealt in ‘1 to many’ format.